He has Green Glass Eyes! 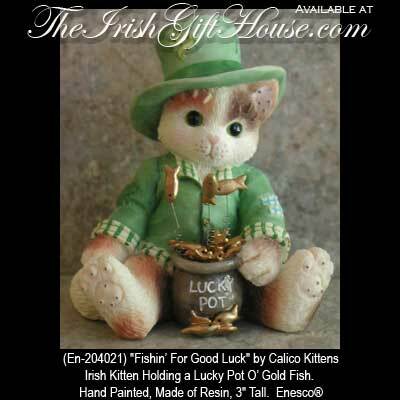 Irish Kitten Holding a Lucky Pot O’ Gold Fish. Hand Painted, Made of Resin, 3" Tall.